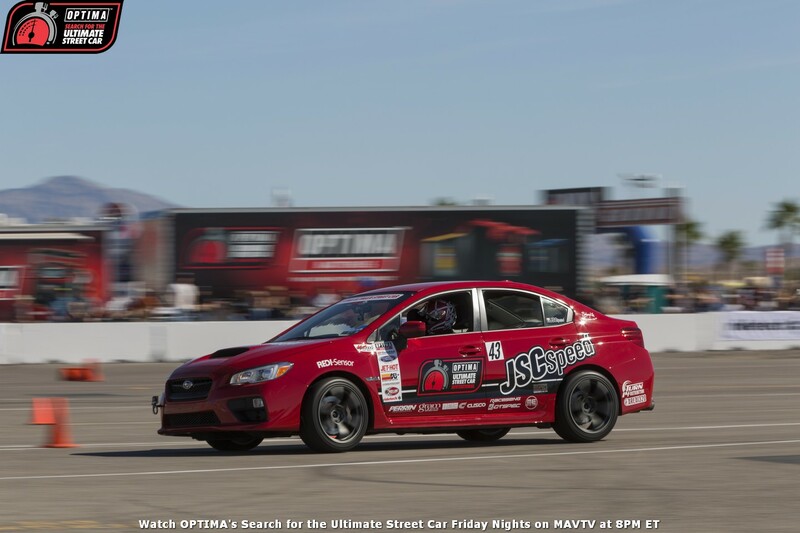 Justin Stone entered the 2014 OPTIMA Ultimate Street Car Invitational, presented by KN Filters, as the first Ultimate Street Car Association regular season champion in the all-wheel drive class. Would that strong performance in the regular season carry over to the OUSCI? Read on. "The level of car prep and driver skill at the OUSCI is pretty remarkable," says Stone "I went into the OUSCI knowing the JSC Speed WRX was not going to be able to contend for a top-20 finish. Based on how we performed at the qualifier events I was pretty sure that a top-30 spot would be possible, but would require near perfection on each challenge. Really, I would have been content with a top-50 finish. When the results were announced, I was a little disappointed at 52nd overall." As we will see with nearly every competitor in the 2014 OUSCI field, the competition from top to bottom was extremely tight among the 92 cars trucks that finished the event. Stone's Subaru was on the cusp of a top-50 finish, with less than a point separating the WRX from Alan Palmer's Corvette, Dan Howe's Monte Carlo and Jeff Montgomery's Corvette (51st through 49th, respectively). So how did it get there? First off, Stone drove it there, meaning he actually drove his 280-horsepower Subaru cross-country, from Pennsylvania to Paradise Road in Las Vegas for the SEMA Show and the OUSCI. With rock-solid reliability like that, there was never any doubt that he'd collect all 25 points available on the Detroit Speed Road Rally. With a field comprised of some of the very best examples the automotive aftermarket has to offer, judging was going to be exceptionally difficult and very tight in the Lingenfelter Performance Design Challenge. While Stone's Subaru finished 77th, just one more point would've elevated his finish in that event all the way up to 35th place. On the track, the JSC Speed WRX ran great all weekend. "The weather could have cooperated a bit more and rained at least one day of the OUSCI to give me a fighting chance," says Stone, "but we were in Las Vegas and rain would have been a big surprise to everyone." 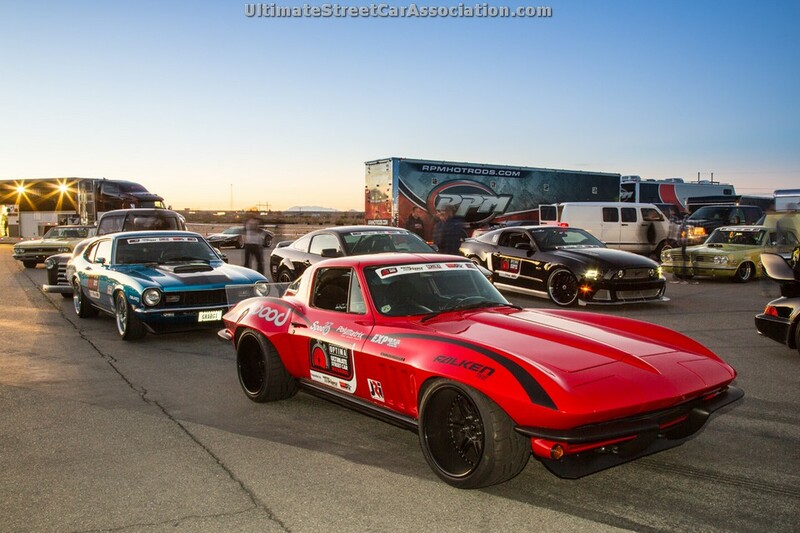 The toughest part of the weekend for Stone (and many other competitors) was not knowing how he ran in the RideTech Street Challenge Autocross or Wilwood Disc Brakes Speed Stop Challenge. While raw times would flash on the screens at the track, it was a waiting game to find out if the runs were clean and free of contact with cones and two-second penalties. "I went for it at every pass," says Justin. 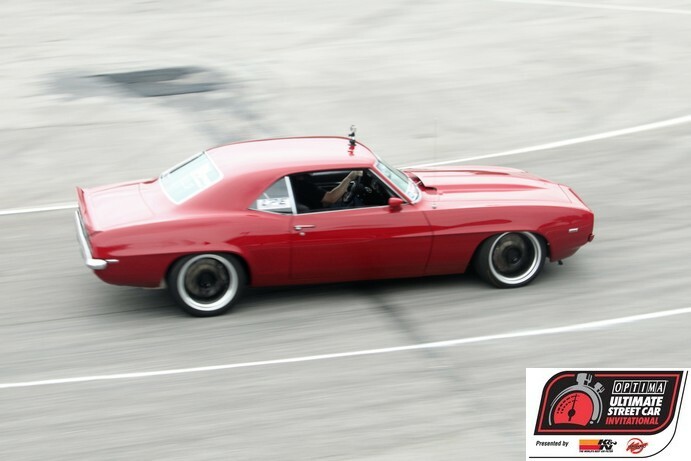 "We made some minor adjustments to our ISC Suspension coilovers and our Perrin Performance rear sway bar between autocross passes to try and get a little more grip but never found the right balance." 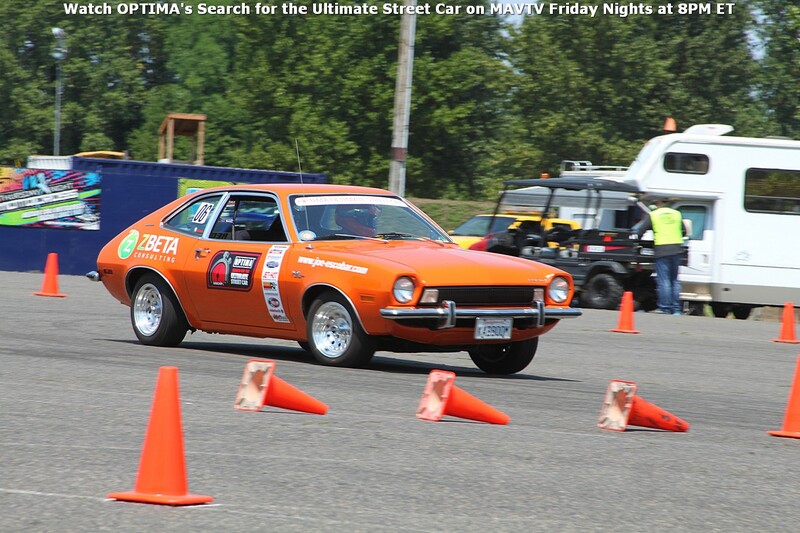 Even without finding the right balance, Stone still managed a 43rd place finish in the RideTech Street Challenge Autocross and was within one second of a top-25 finish. "We made a few more changes for the Speed Stop and thought we had a great run that would put us in the top half of the field," says Justin. "The time was decent and got a huge cheer from the spectators- I used all the AP Racing calipers and Hawk Performance brake pads had to bring the JSC Speed WRX to a stop just millimeters from the cones. Of course, we found out after the event that I had hit a cone and it basically negated my time. I made my last three passes under the impression I had a good time in the bank and was really putting it all out there. Each of the final three passes had cones or were too deep in the box." Justin's best pass in the Wilwood Disc Brakes Speed Stop was 16.057 seconds, but again, a clean run at just over 15 seconds would've placed him in the top-25. There were no cones of concern on the BFGoodrich Hot Lap Challenge, where Stone's Subaru was one of seven vehicles to post a 1:55.x lap time. While the Subie was faster than the RX-7, GT500 and Lamborghini in that group, an Evo, a C10 and a Camaro were slightly faster than him, placing him 43rd for that event and 52nd place overall in the OUSCI. Having competed in several qualifying events throughout the year, Stone knew what what the field would look like in Las Vegas. "It was no surprise that a large percentage of the field were ridiculously well-prepared, pro-touring style street rods," says Justin. "Some cars have tens or even hundreds of thousands of dollars in work done and decades of refinement. It’s always nice to see folks take their creations out of their trailers and flog them on a race track." As much as the field of cars wasn't a surprise to Stone, he was caught off guard on Thursday during SEMA, when he was called up on stage during the OUSCI press conference to receive his All-Wheel Drive National Points Championship trophy. As for the competitor who impressed him the most? An answer we've heard from more than a few folks- Brandon Ranvek. "Brandon was just awesome to watch. His driving ability and car prep is phenomenal. Hell, the whole RS Motors crew are great. They really have a good time and worked hard to be on top," says Stone. If you'd like to keep up with Justin all year-round, be sure to follow @jscspeed on Instagram.